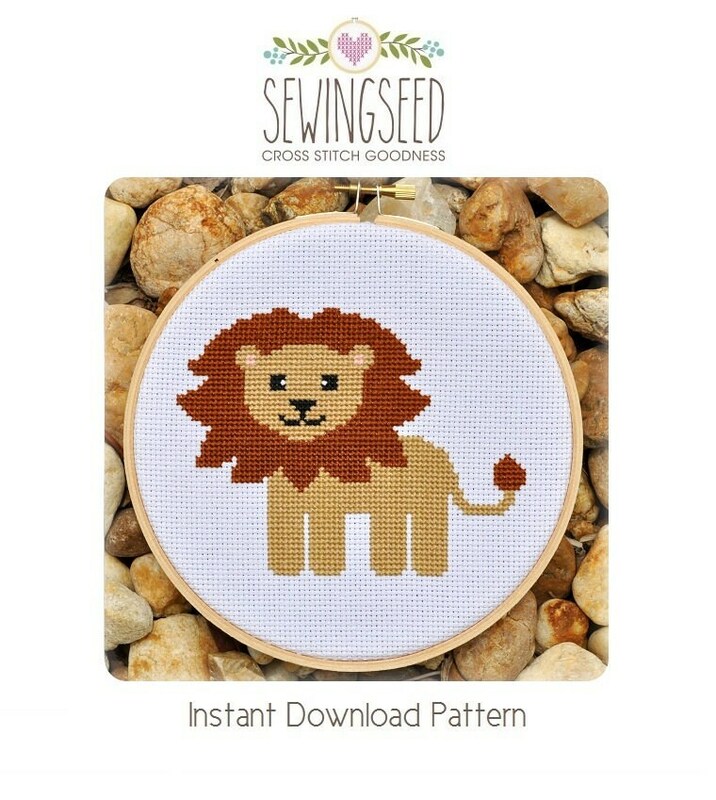 Lion Cross Stitch Pattern available for instant download via Etsy. Very nice pattern, easy to sew, explanations very clear... It was perfect! Cute pattern. Fairly basic for the animal shapes, and I ended up adding a few extra for a little more.